Colorful decor accompanied with sophisticated style. 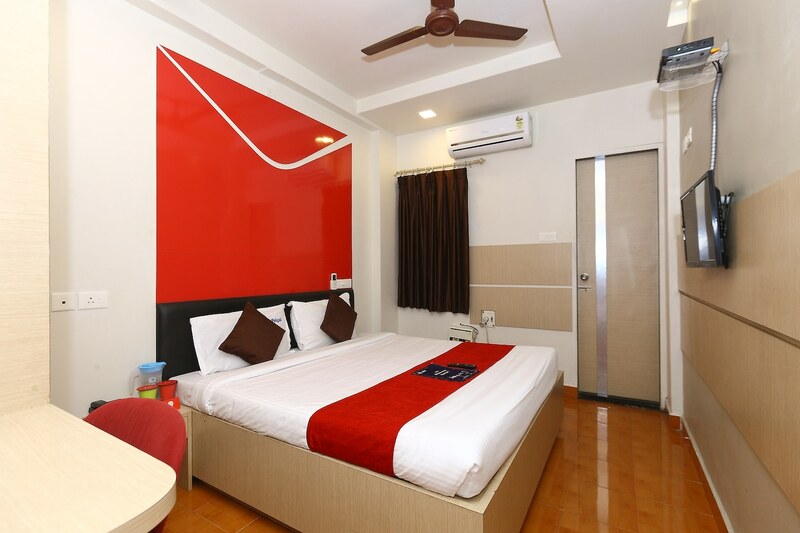 Hotel Poigai is a hotel with a bold taste in colors and aims to make a guests stay as hassle free as possible. The bedrooms have the same theme as the rest of the hotel with a few walls painted with a bold color and the rest a simple soft hue. Free Wi-Fi and power backup are available so the guests do not encounter any technology related problems and can connect with the rest of the world whenever they want. A spa, a bar and a seating area are also provided by the hotel for its guests. Other amenities offered by the hotel are a geyser, elevator and a card payment option.